Welcome to the new, updated Theta Chi Epsilon Fraternity webpage! We are currently undergoing some changes to the website, so please check back often to see the new material. 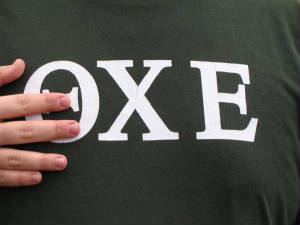 To check out the new OXE Blog, please click the OXE shirt picture! Click to the view the new OXE Blog. Check out our Guestbook. Let us know how you are doing.